CoolDad’s newest correspondent CoolMatt (aka Matt Chrystal, self-described weirdo, beardo, and tyrant of the Garden State Beard and Mustache Society. Cooler nickname coming soon.) 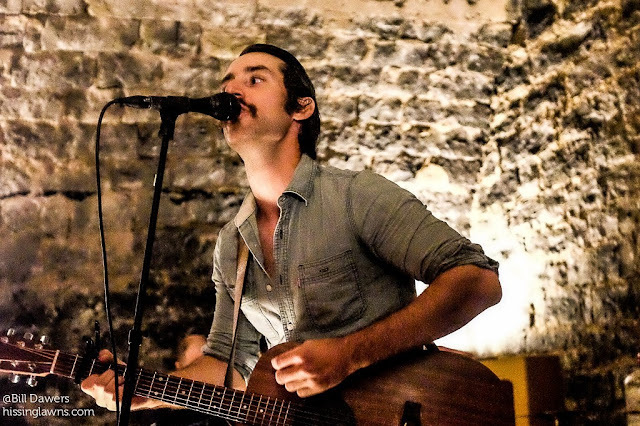 recently got a chance to have a lengthy conversation with Adam Turla of the baroque-roots-rock band, Murder By Death. Adam talks about his fondness for WeirdNJ and ramen noodles. He shares how he discovered Florence & the Machine, why people think he is “metal,” and what it is like to literally play underground. The MBD vocalist/guitarist reflects on the band’s ever-changing sound, album anniversaries, and about making the latest record. Adam also reveals some of the things concert-goers can look forward to on Murder By Death's upcoming Spring 2016 Tour which just got started in Seattle on March 18th and will make stops at Irving Plaza in NYC on April 15th and Rough Trade in Brooklyn on April 18th. 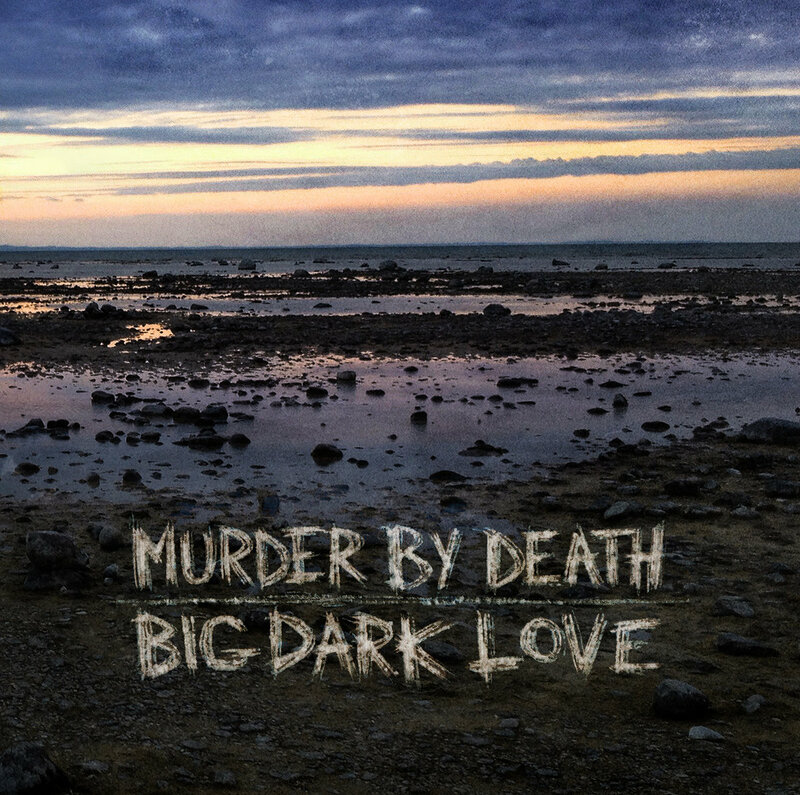 CoolMatt: Murder By Death’s fan base has grown quite a bit bigger than just a “cult following,” and fan support has actually played a part in putting out your last album, Big Dark Love. Can you talk about your recent Kickstarter effort for Big Dark Love, specifically your feelings on having such a successful campaign? Adam Turla: It was a funny thing for us to see the growth of the band in recent years. Funny to us because we feel we do things the way we always have but in the last couple of years our fan base has really ramped up. We are seeing more involvement from fans and more people wanting to participate. Seeing this has allowed us to try different things like the Kickstarter campaign. We used to tour constantly, and being on the road really takes a toll and wears us out. I think we are supposed to spend time creating or trying to be creative but because of the way the music industry has changed and nobody is buying records anymore, you have to go out and make money on the road. Bands are performing more than writing and creating. Having the Kickstarter campaign gave us the confidence that there is an audience out there that wants to hear our record. It lets us know that they will support it and they will buy it. This allows us to write more, and to come up with ideas for events such as the runs we do at the Stanley Hotel, instead of just being on the road or trying to recover from being on the road. Speaking of performing, one of the Kickstarter “prizes” offered Murder By Death playing private shows for fans. How did that go? One of the things we did was a three night performance in a secret cavern in my hometown of Louisville, KY. I knew a guy with an old cavern underneath his property and he rented it to us. We did acoustic, barely mic’d performances, some really long sets in this crazy dome-like cavern. We released the address to the fans just a week before and they came and we had beers together and it was an interesting different kind of show. The shape of the room made for a lot of echoes, so you could hear all the voices all over the room, and these were big time fans, you could hear them sing over the music. It all had a really interesting quality. It was something much different than going to a club show. Another Kickstarter “prize,” allowed fans to select songs for MBD to cover which became the album As You Wish Vol. 2. (which includes covers of some of NJ’s favorite sons – Bruce Springsteen and the Gaslight Anthem). The sound and image of MBD lends itself well to covering the likes of Willie Nelson, Van Morrison and Springsteen but hearing that MBD was covering Weezer, Jewel and Florence & the Machine surely had to pique some folks' interests as well as raise some eyebrows. Were there any selections you found surprisingly fun or surprisingly difficult? It was very surprising to see Florence and the Machine. I don’t know her music. I mean, I know of the band because they are really successful but I didn’t have any friends or even know anyone who listens to them. So I got to check out music I was unfamiliar with which was really fun. The Jewel cover goes back to an earlier Kickstarter campaign where this guy gave us the option of covering Jewel or “Just Dropped In” by Kenny Rogers. I had always wanted to do that Kenny Rogers song, so we thought it would be funny to include the Jewel cover this time around. Will any of the covers find their way into rotation on this tour or were they just a Kickstarter thing? The reality is that we covered thirty-three songs during the two Kickstarter campaigns, so there’s no way we are going to keep all of those rehearsed and ready to go. We have seven albums of original material and people make requests for us to play different songs from those too. We are not a cover band. It was a fun project but it is more for people to listen to at home and get some kicks. MBD is based out of Indiana but you have visited this area on plenty of tours over the years. Most recently you played the Stone Pony in Asbury Park, NJ on your last tour and this upcoming tour will have stops at Irving Plaza in NYC (April 15) and Rough Trade in Brooklyn (4/18). What do you look forward to when coming to New York and New Jersey? Is there anything you care to avoid when visiting? We have been coming to the New Jersey and New York for over fifteen years so we have a good impression of what the area is like. Truthfully, that area has been really supportive to us for a really long time. I remember when we were getting started I was hearing about and then reading issues of WeirdNJ magazine to find out about fun, interesting subjects. I am into haunted places and strange stuff and I always thought WeirdNJ was a really cool. Going to New York City is a big experience for anyone who lives where I am from. I grew up In Louisville, KY and was in the MidWest my whole life until we started touring. New York City is just a totally different animal. It’s exciting and when we go there. I want to see what is going on. There are always things happening. So many places to eat! Each time I go, I try to go to the art museums and see what the exhibits are. Going to NYC is like going to Disneyland. It can be overwhelming, especially for people like me that do not live in big cities. We always try to give ourselves an extra day to explore NY and I’m hoping we get to do that this time too. 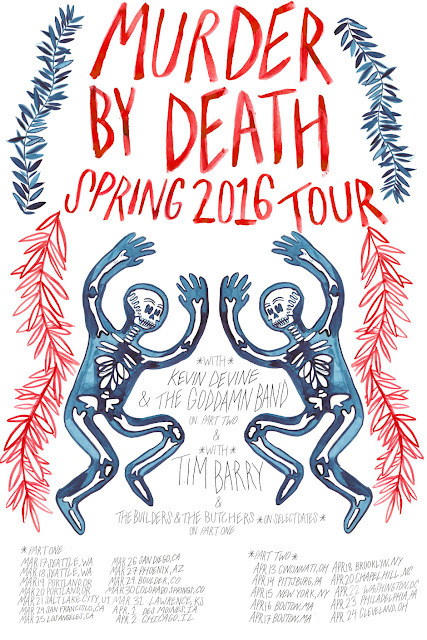 The openers on this tour are Tim Barry from Richmond, VA who will be on the tour with you when it starts out west in Seattle on March 18th and then Kevin Devine from Brooklyn, NY will take over opening duties for most of the east coast leg of the tour. Both musicians have a DIY work ethic that is similar to MBD. Did you have a say in selecting them? Oh yeah! We always pick the bands that come out with us. We are as involved as we can be with our own careers. Both Tim and Kevin have wanted to come out with us in the past and we always wanted them too. We even have mutual friends but up until now we just haven’t done it yet. So this tour kinda checks off two guys we have been meaning to tour with. All the musicians I know that have toured or played with these guys swear by them, that they are the best. I know their live shows are great. It’s exciting that this all came together. Tim Barry is starting out with us on the West Coast and then we meet up with Kevin Devine when we get to the East. We have both of them for the NYC shows! Tour is around the corner and everyone is ready to kick it into high gear. MBD’s sound seems to have evolved over the years. A change in sound can be noticed from album to album, especially from the stark, haunting, driving tones of Bitter Drink Bitter Moon to the more lush, polished sound of Big Dark Love. Was this a natural progression or a conscious effort? Each record is supposed to have its own personality. I don’t think of music in terms of evolution. Usually, it is just a current state of mind. I think most musicians are like this when making an album. Unless they are trying to hone in on one iconic sound of theirs and they just keep writing the same way until they get it perfect. Some people do that, whether it’s consciously or not. I like to jump around and experiment with our sound. We want to put out something that sounds interesting to us and hopefully our audience will think so too. I realize that we never did anything that has a sound like Big Dark Love. It is a little more subtle with a less is more approach. I don’t jampack the lyrics. It’s lush but not a ton of layers. It is just different from what we have done in the past. We have had albums that are a little more phonetic and some that are ambling. We were only thinking about the things we have not done yet and that is kinda how we approach each album. If we do another record, we will say, “Ok, this is album number eight! What should we do this time?” It’s all about the creative process. I want to find a reason to make a record. I do not want to just write a bunch of songs and say, “Here it is… whatever.” I want to do this for a reason. This year celebrates the ten year anniversary of your album In Bocca Al Lupo. You had mentioned in a Facebook post that the band would be performing songs from this album on this tour. Being that it is now a decade later from where you where when you wrote that album, are there songs or moments during rehearsals that make you say “Whoa! I wrote that!” … whether you were impressed with yourself or wish you had done something different? I do not think that is a bad thing. Our stuff is our sound and we never tried to copy any other band's or anyone else’s sound, so when I hear older stuff, I’m just like, “this sounds like a different version of us.” That’s just the way it is when you look back. It’s just you at that time. The band issued a statement saying this would “probably” be the only tour of 2016. Can you let us in on any plans you may have during your time off from the road? That’s the idea, to take time off. The first twelve years of our career we were doing over two hundred days on the road per year and that is just a lot. In the last few years, we realized that we will get more out of this group; we will be more productive, more creative and happier and have a longer career if we just tone it down and cut back on all the live shows. It is just a decision that we had to make. It’s us acknowledging that we aren’t twenty years old anymore. That is a big part of it. We also toured a lot last year after the album (Big Dark Love), so this year we just want to have at least six months were we do not have any plans. I do not want to have to say it’s time to write now, it’s time to book studio time, it’s time to decide on artwork or whether we or not to do another Kickstarter campaign. If I am going to write, I want it to be because I want to. I would rather make art to make art not because there is a deadline. I think that just makes for better work. What would you like to tell the folks thinking about coming or already planning on coming to see MBD in NYC at Irving Plaza and Rough Trade in April? They are gonna be fun nights! We have some really spooky video production that I have been working on with a video artist. It is just some really strange and cool stuff that will be projected behind us. We have learned and relearned over fifty songs from our catalogue for this tour. All kinds of different material. Irving Plaza with Kevin Devine (Aril 15th) is looking to be our biggest NYC show that we have done on our own. That itself is exciting. The Rough Trade show in Brooklyn with Tim Barry (April 18th) is going to be very small and more intimate with less production. That was the plan, one big show and one small show. Plus, we get the experience of having a few days in New York City and hopefully I’ll get to eat some awesome Ramen or something. 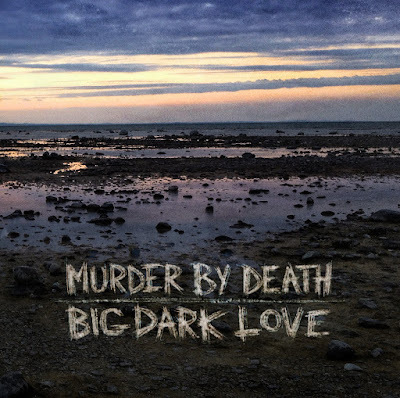 I couldn’t end our conversation without asking something that I have always been curious about… I know the MBD moniker is borrowed from the movie of the same name, but do you often get mistaken for a heavy metal band when people hear the name Murder by Death? It’s the bane of our careers (laughs). Seriously, we have lost out on so many opportunities because of the band’s name. So many people judge us without ever hearing us. But I am an optimist in the way that I choose to look at it because we also get people that tell us that we are the only non-metal band they listen to. It’s pretty ridiculous to judge a book by its cover. Maybe that’s what I get for naming my band when I was nineteen. But it’s all worked out because I have had a really incredible career, so what’s the problem?! Part II of Matt’s Interview with Adam Turla will focus on Murder By Death’s experiences at the Stanley Hotel in Estes Park, CO (The Overlook from Stephen King’s The Shining) and will be available soon on www.WeirdNJ.com. 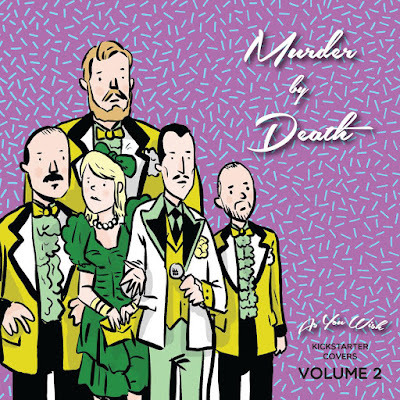 Check out the rest of Murder By Death's tour dates and buy tickets at www.murderbydeath.com. The Garden State Beard and Mustache Society will be holding their 5th Annual Beard and 'Stache Competition at The Stone Pony on May 14th, and there are rumors of a CoolDad Stubble category.